Audie Murphy, 06/20/1924 – 05/28/1971. Standing at 5'5" and weighing 110 lbs, he was refused enlistment from the Marines, Navy, and Army Paratroopers for being too short and underweight. Finally the U.S. Army enlisted him in 1942 and he began boot camp. Murphy passed out during drill and his commander tried to transfer him to cook and bakers' school, but Murphy refused and persevered through basic and advanced infantry training. 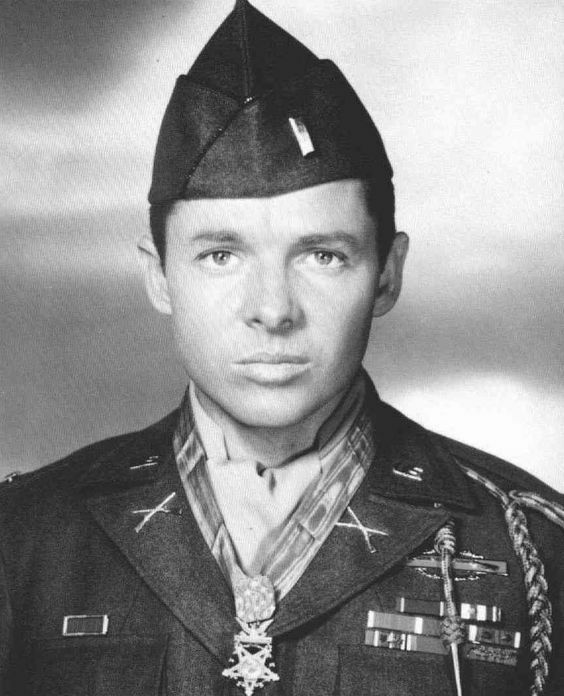 Audie Murphy was awarded 33 U.S. decorations and medals, five medals from France, and one from Belgium. He received every U.S. decoration for valor available to Army ground personnel at the time. He earned the Silver Star twice in three days, two Bronze Star Medals, three Purple Hearts, the Distinguished Service Cross, and the Medal of Honor. He received a battlefield commission. 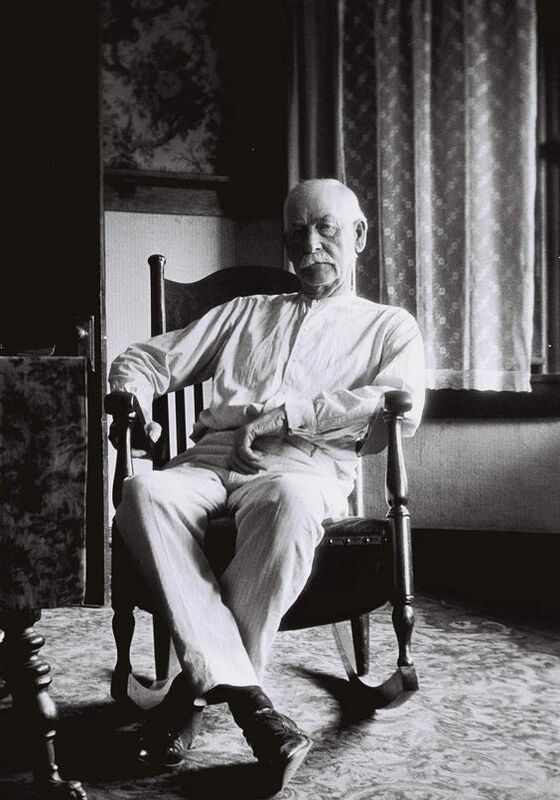 Wyatt Earp (pictured right at age 75) was many things in his life: Lawman, pimp, gambler, investor, hotelier, teamster and so much more. My point is that there was a time in America when men with fame, arrived at it not for dressing up like women, or being of one or another particular race, but for doing things. I believe that concept to be almost completely lost in the present day when students all "deserve" A grades simply for showing up at class (some of the time), and trophies are handed out to losers to make them feel good about themselves. It's not unlike a current NASA mission, set out by Barack, to "make Muslims feel good about themselves" because Muslim nations are a bunch of snake pits. Those with oil are wealthy snake pits -- but none of them ever put a person into space and returned them safely to Earth. They have other things in mind with the rockets that they buy or build. 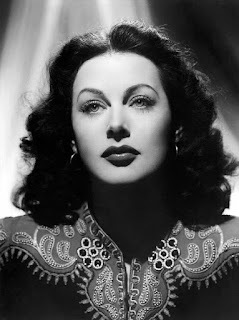 Hedy Lamar Was a famous Hollywood starlet. She is said to have tipped the balance of WWII. Not only is she almost unbelievably beautiful, she was also exceedingly clever. She co-invented of an early wireless form of communication; her invention allowed shortwave radio communications on the field. She gave the invention, for no compensation, to the US Government. the Germans did not yet have this capability." It's interesting to compare her to present-day Kardashians and the housewives of wherever. A friend of mine said that the Darwinian process of survival of the fittest vanished in the 1930s, when for the most part, there was enough food to feed the world and with the exception of a few hell-holes and man-caused political crisis points, humanity passed beyond the point of "only the strong survive". Is that what's wrong with us?